What is 1st WordPress user permissions system capability if we sort such list in alphabet order? Yes, activate_plugins one. Information about it at WordPress Codex is very brief: “Allows access to Administration Panel options: Plugins”. But according its name this capability should allow at least activate plugins and may be something more. Where we can get right information about WordPress if not at WordPress’s core source code? I made little investigation and wish to share with you its results in this post. Summary: activate_plugins capability on the top of the mountain really gives user access to “Plugins” and “Installed Plugins” menu items of WordPress admin back-end menu system and lets him activate/deactivate plugins one by one or applying bulk action to the set of selected plugins. Let’s look together under the WordPress hood and see on examples of WordPress 3.3 core source code how it’s realized. Searching of ‘activate_plugins’ string occurrences result in this files list: wp-admin/menu.php, wp-admin/freedoms.php, wp-admin/plugins.php, wp-admin/includes/class-plugins-list-table.php, wp-admin/includes/schema.php. wp-admin/freedoms.php contains the same link to plugins.php and shows it to users with ‘activate_plugins’ capability only. Where to find this page? Its new feature introduced in WordPress 3.3. At the left corner of WordPress admin back-end menu bar you can see small WordPress logo. After click on it you will see submenu as on image below. Click ‘About WordPress’ and ‘Freedoms’ to achieve freedoms.php resulting page. 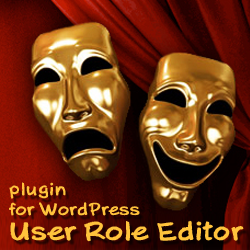 wp-admin/plugins.php – this is WordPress plugins administration panel. And you can achieve it in that case only if you have activate_plugins capability. For the multi-site WordPress installation you should have network superadmin rights additionally. ajax_user_can() method is used by wp-admin/admin_ajax.php to check if current user has permission to execute operation via AJAX request. wp-admin/includes/schema.php at line #580 inserts activate_plugins capability into Administrator role during WordPress installation. This entry was posted on Saturday, November 26th, 2011 at 01:43	and is filed under WordPress, WordPress Capabilities. You can follow any responses to this entry through the RSS 2.0 feed. You can skip to the end and leave a response. Pinging is currently not allowed.